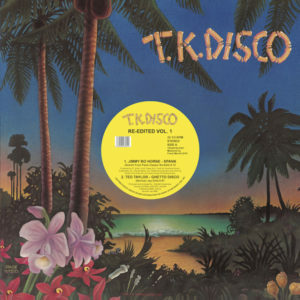 TK Disco - THE Miami disco and boogie label, dominated throughout the 1970's and 1980's with back to back classics revered by dancers and disc jocks alike. It's no wonder the labels catalogue still gets played today and still makes people dance, inspiring new fans and the old school alike to hunt down the ubiquitous yellow labelled 12 inch singles with fervour. It's in this spirit that TK present some of the finest contemporary reworkings from their legendary catalogue, classics reimagined with todays dancefloor in mind, nipped and tucked in just the right way by some of the finest names to flirt with the discotheque. Across 2 lovingly mastered and selected slabs of wax we have versions from Dimitri From Paris, Norman Jay, Todd Terje, Late Nite Tuff Guy, Kon and Danny Krivit - A truly allstar cast right there - all showing their love for this sunshine state disco powerhouse. 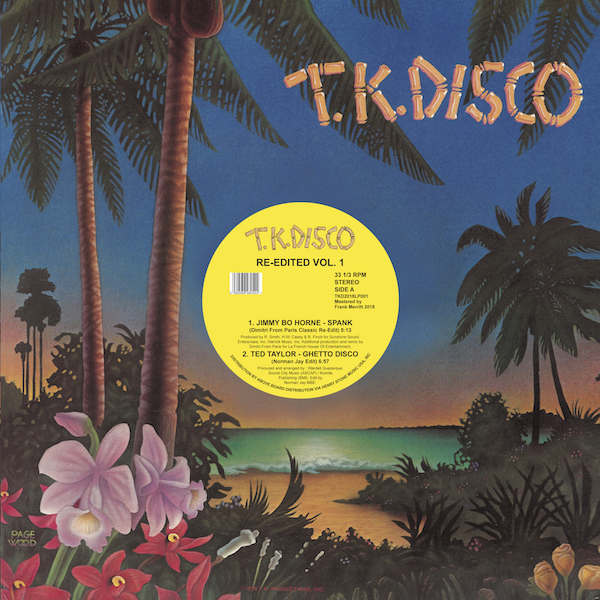 Resplendent in original TK Disco label art and with the classic 'palm tree' sleeve this 100% legit and official selection of re-edits is now available for your disco dancin' pleasure. Dig in, and enjoy!